A safari through Kenya and Tanzania with the possibility of an extension in Zanzibar. 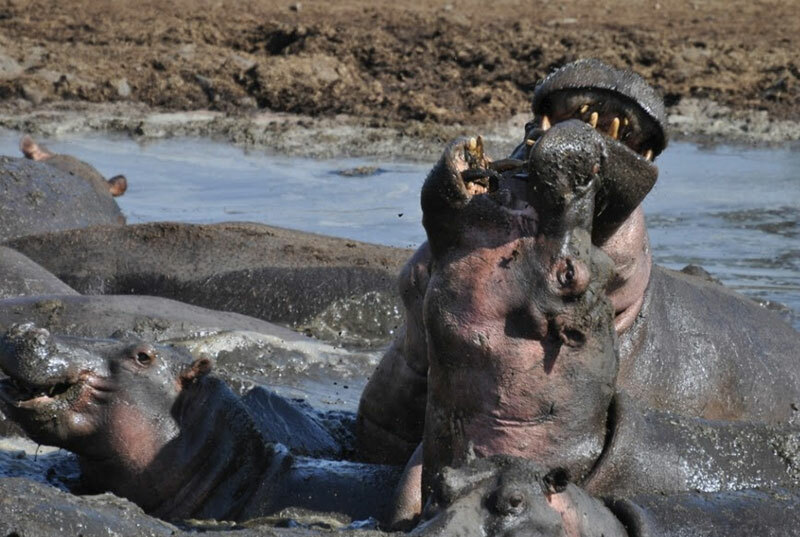 Game drives in Masai Mara National Reserve in Kenya, Lake Manyara NP, Ngorongoro Crater and Tarangire NP in Tanzania with a stay at Lake Victoria, Africa’s largest lake. 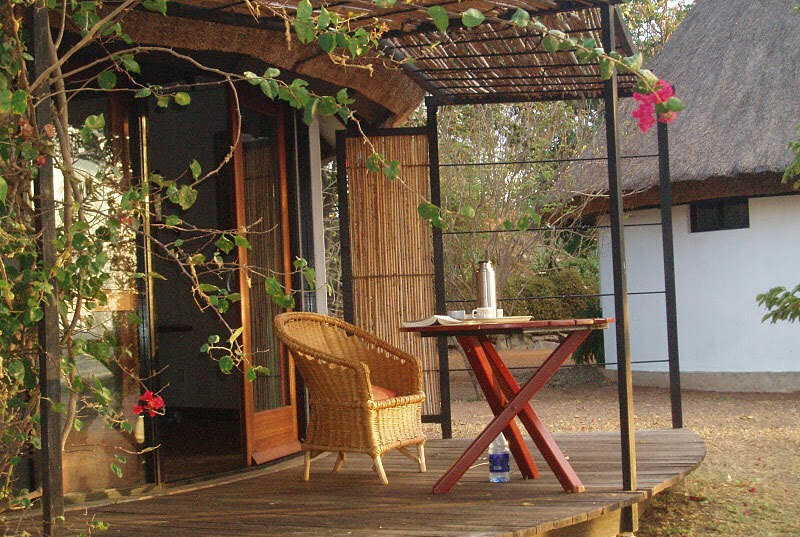 A camping safari with a private cook alternated with accommodation in two lodges FB. Transportation by landrover with a driver/safari guide. The herds of wildebeest and zebras in Kenya and Tanzania, and not even the crocodiles care about any borders. The migration of the wildebeest is a continuous process; they migrate from Serengeti to Masai Mara in Tanzania, from there on to Kenya and back. Wildebeest follow the rainfall. Your best chances to see wildebeest are in June-July in the northern Serengeti, in July-August in Masai Mara and from December until March on the plains between Serengeti and Ngorongoro Crater. 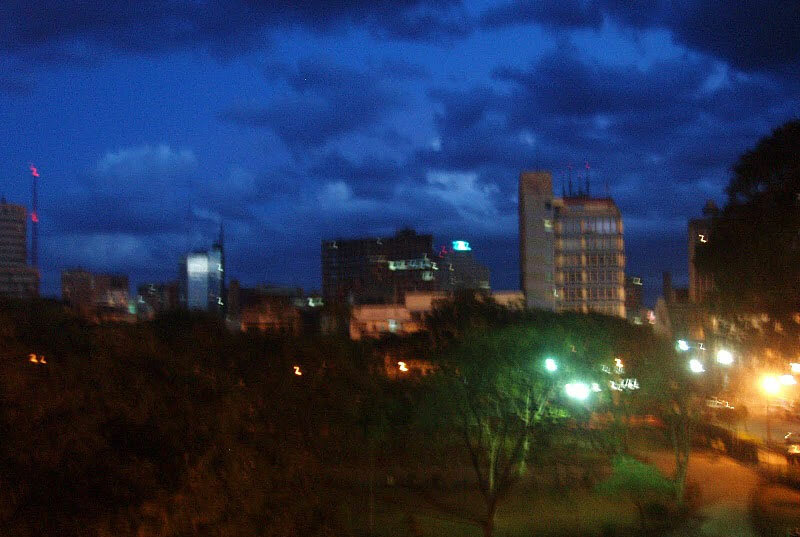 Visiting Nairobi, experience its atmosphere during a town walk, visit the museums or meet the local people in Kaloleni Quarter, one of Nairobi’s oldest quarters, poor but with a distinctive character. Spectacular rafting on the Tana River, wild water rafting with degrees of difficulty varying from 2 until 5 or kayak lessons and bird spotting on the banks of the Tana River. Meeting with the Masai in Loita Hills and getting acquainted with local life. Masai Mara National Reserve: Apart from the migration of the wildebeest you will find all kinds of animals in Masai Mara and Serengeti. 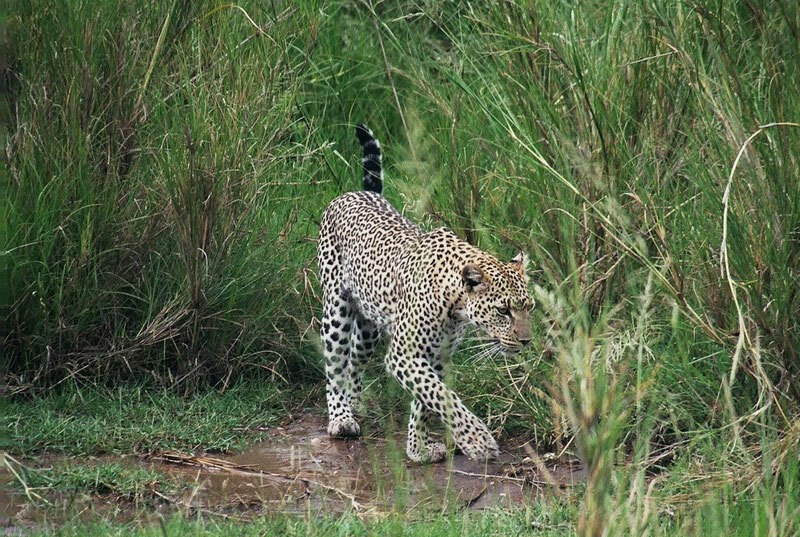 Serengeti National Park: With just a bit of luck you will encounter lions, leopards and cheetahs. It is possible to make night safaris, walking safaris or spectacular balloon rides. Ngorongoro Crater, game drives through the ancient crater looking for rhinos, walking along the edge of the crater with a Masai guide. Lake Manyara NP game drives in Lake Manyara NP looking for the famous tree lions. 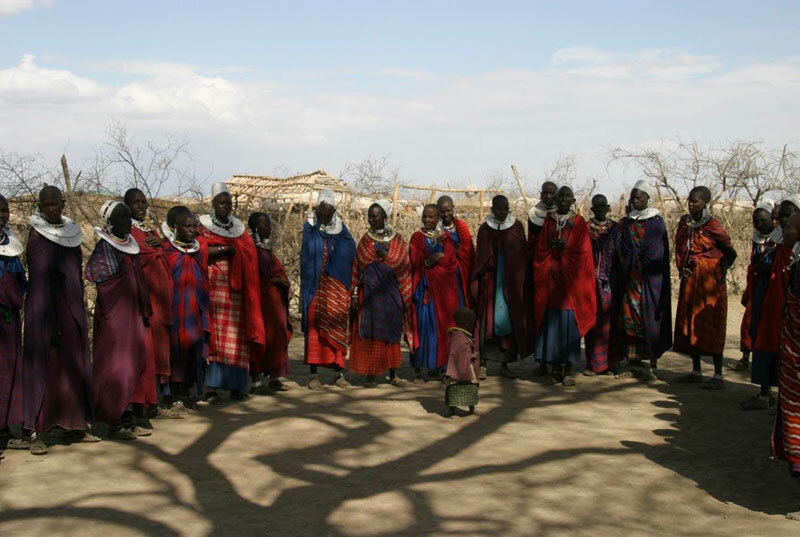 Explore the village Mto Wa Mbu, have a meal together with the women in the village, bike through the village to the edge of Lake Manyara NP. 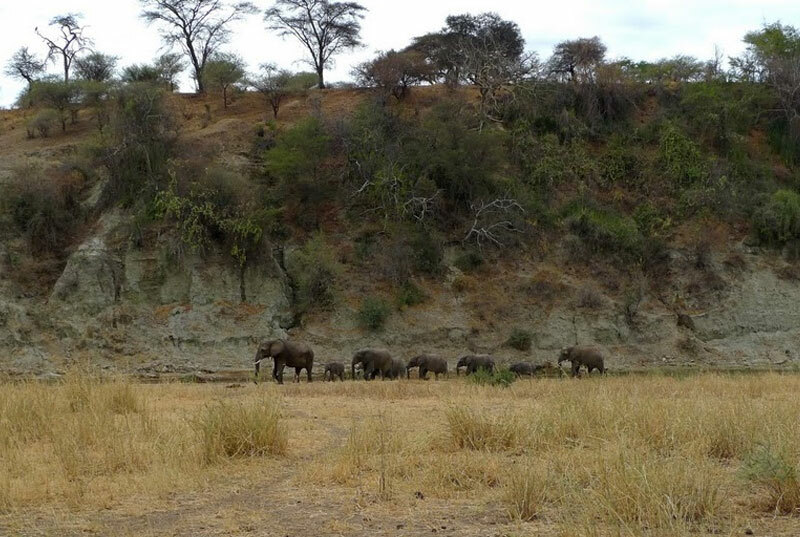 Tarangire NP, a beautiful park with red soil, baobab trees and many elephants, walking safari and game drives, with accommodation in Tarangire Safari Lodge. Lake Victoria, bird spotting, mountain biking or canoeing on Lake Victoria with local fishermen. Groups can set a departure date any time they want to. When this journey or parts of this journey appeal to you and you are looking for co-travellers, contact us with the desired departure date so we can call other people in our heading wanted. Based on four persons including camping and accommodation in two lodges: € 1.850,- per person extension to Zanzibar: € 350,- per person. Transportation according to programme by Landrover. Domestic flight from Arusha to Dar es Salaam or Zanzibar. In case of extension on Zanzibar, domestic flight from Zanzibar to Dar es Salaam and transportation on Zanzibar. Accommodation, all nights on campsite and two lodges FB. The use of tents, mattresses and other camping requirements. Drivers /guide and private cook. Food and drinks while camping. Local guide in Loita Hills. Visa for Kenya $ 25,-p.p and visa for Tanzania $50,- p.p, to be paid upon arrival at the airport in Kenya and the border of Tanzania. 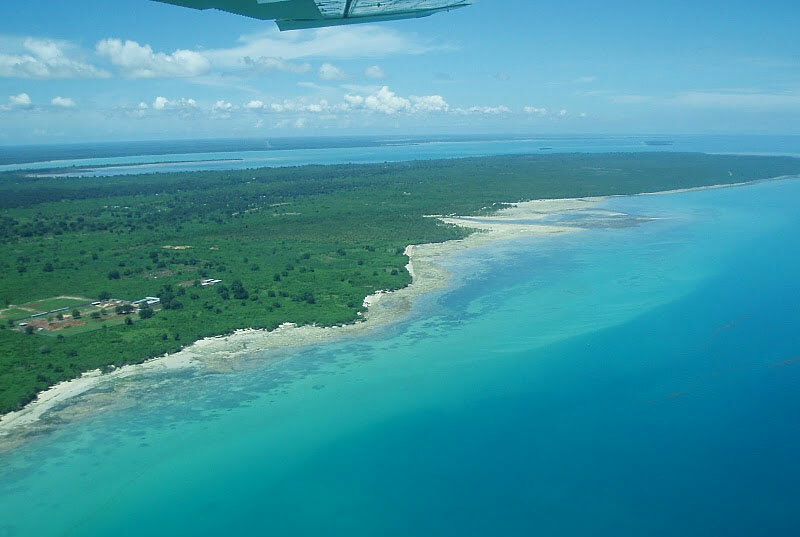 Exit taxes in case of a direct international flight from Zanzibar, $ 30,- p.p. In case of leaving from Dar es Salaam usually, the exit taxes are included in the ticket’s price. A trip by canoe on Lake Victoria: $40,- per canoe, room for 4 persons per canoe. Walking and sharing a lunch with local women in Mto Wa Mbu: $ 20,- p.p. A guide from Via Via: $10,- p.p. Canoeing in Arusha NP: $ 62,- p.p. 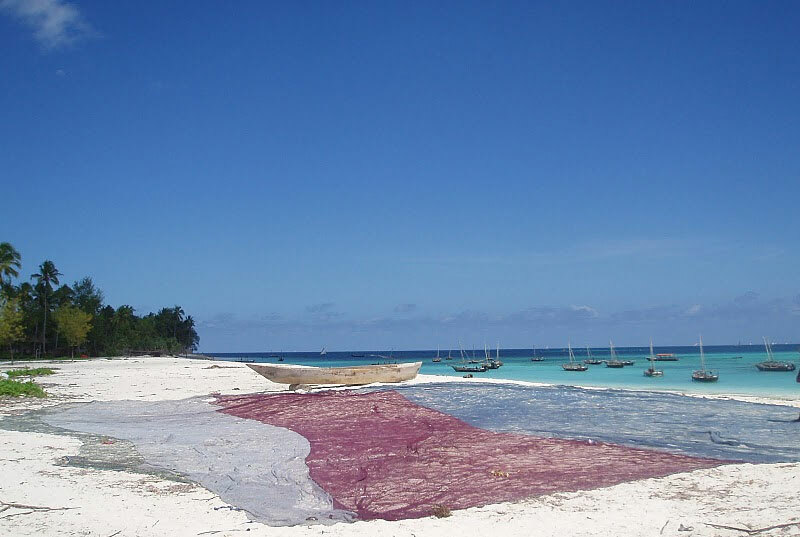 Zanzibar, two-island trip with a dhow including snorkelling (www.mip-zanzibar.nl): $35,- p.p. Swimming with dolphins: $ 20,- p.p. Snorkelling around Chumbe Island: $ 90,- p.p. An extended trip to Zanzibar for five days or as desired, more days. Our Price: € 350,- p.p. for 5 days, prices based upon occupation of two persons per double room. As desired two nights in Stone Town B&B and 3 nights at the beach or 5 nights at the beach. Price includes accommodation in Stone Town B&B, on the East coast in the village Jambiani in a beach hotel with swimming pool, BB. Transfers on Zanziba, advice from a local guide and domestic flight from Zanzibar to Dar es Salaam. 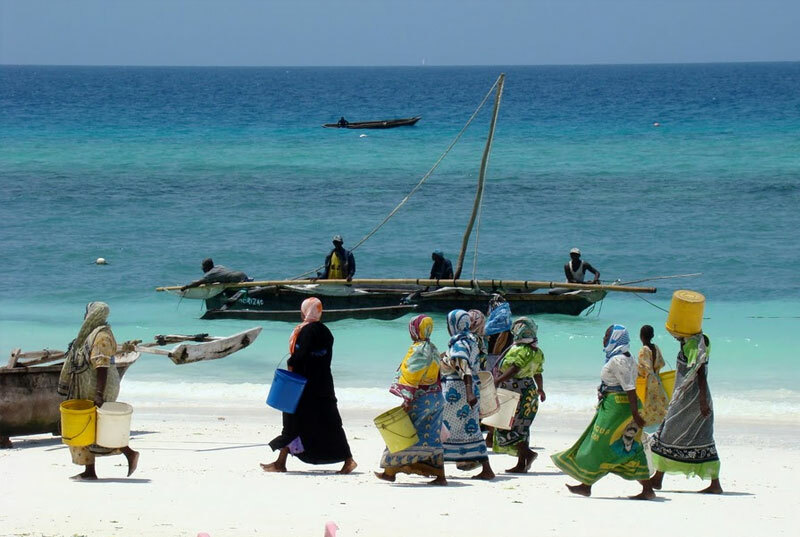 Zanzibar consists of two large islands, Uguja and Pemba, and a few smaller islands. 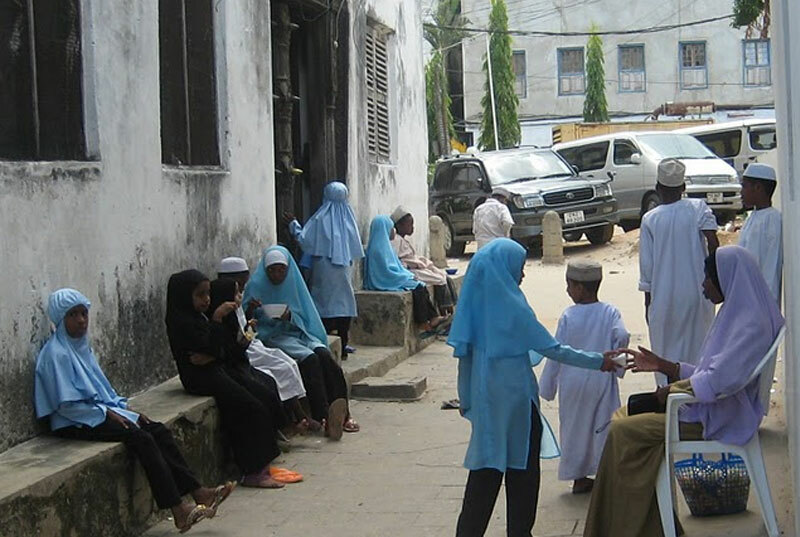 Stone Town is Uguja’s capital. Everyone calls the island Uguja : Zanzibar. Stone Town will take you back to olden days. Stroll around the harbor where you can smell the fragrance of clove in the air, visit the busy market with plenty of fish, exotic vegetables and fruits herbs and spices. Zanzibar is famous for its spices. The African, Arabic and Indian people are always keen for conversation and it is easy to make friends. In the maze of alleys, you will find all sorts of shops and merchandise, mosques, an old bathhouse and the market. 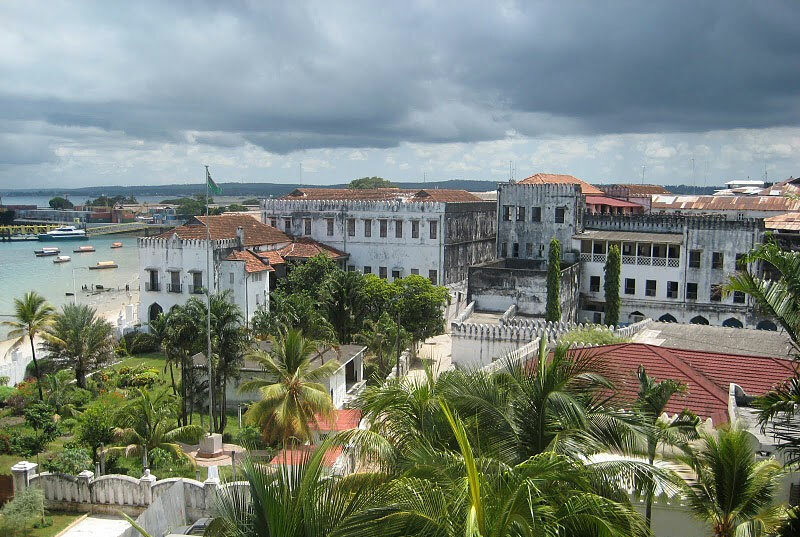 You will also find museums like the House of Wonders, so called because it was the first house in East Africa with electricity and even an electric elevator, or the Palace Museum with its history of Omani sultans who ruled Zanzibar in the 19th century. Zanzibar used to be the center of the slave trade and it has a beautiful monument near the Anglican Church commemorating the slaves. You can take a city tour, a spice tour or relax by the shore. Zanzibar is a beautiful green island with extraordinary white beaches. The white sand will dazzle you. The sea is an amazing bluish green. There are some beautiful spots for snorkeling, for example Chumbe Island near Stone Town and Mnemba Island near Nungwi. You can swim with dolphins in Kizimkazi. The East Coast always has a stiff breeze blowing which makes it perfect for wind and kite surfing. People who love sailing can take a trip on a dhow Marlie in Paradise. Arrival in Nairobi, a cosmopolitan city, stay at a hotel BB of your choice. Depending on your time of arrival, you can take the rest of the day to visit and enjoy Nairobi. Visit the National Museum, the Masai Art Market, the Giraffe Centre, the Karen Blixen Museum or the Museum of Modern Arts. Wander around through the centre of Nairobi and drink a coffee at the Stanley Hotel, famous for its Torn Tree Café, sit and relax on its terrace while African life passes you by. Nairobi’s centre is not too big, ideal for a city walk or visit the local people in Kaloleni Quarter, one of Nairobi’s oldest quarters. Some young locals will guide you around, you might visit the market and the de Jua Kali Market where everything is made from old iron. If you wish, you can enjoy Kaloleni Quarter’s nightlife. 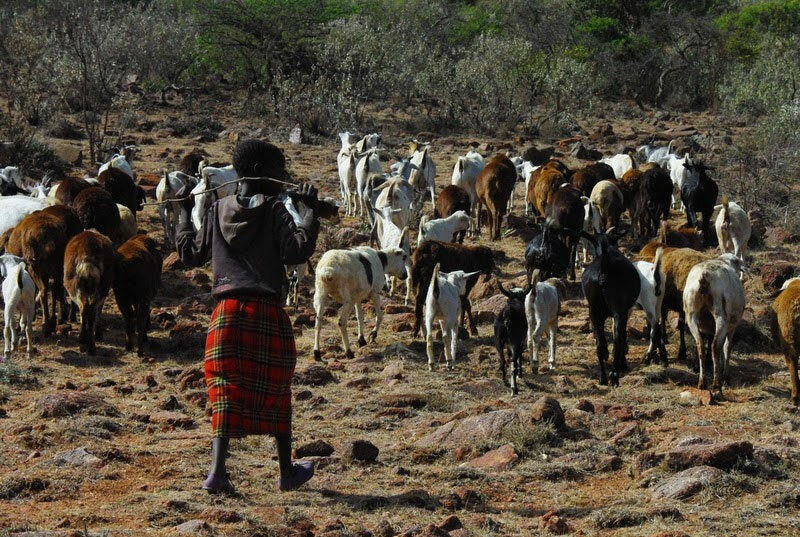 Nairobi, once the place where the Masai took their cattle to drink, ‘Enkare Nyrobe’, now the diplomatic centre of East Africa where you will find the embassies and the nongovernmental organizations and meet many different people. At nighttime it is recommended to travel by taxi as in any major city, you need to be aware of your security. Departure early in the morning to a beautiful green oasis at the banks of the river Tana. Water enthusiasts may go wild water rafting, difficulty 2-5 or kayaking, there is also the possibility of an introduction lesson. You will sleep on a campsite along the Tana River in tents; the cook will serve all meals. It takes at least three people to go wild water rafting, one to kayak. Fellow travellers who are not into water sports can go for mountain biking or take a nature hike along the river Tana; a guide is available. Departure from Tana River, Nairobi. 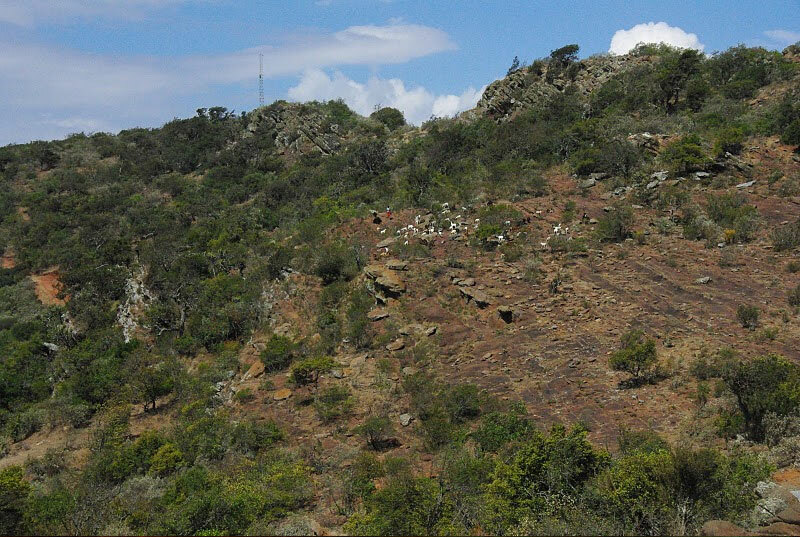 We will travel through the beautiful Rift Valley with amazing wid on Loita Hills. As the name tells you, is a beautiful hilly country. From Loita Hills, there is a view on the Masai Mara. 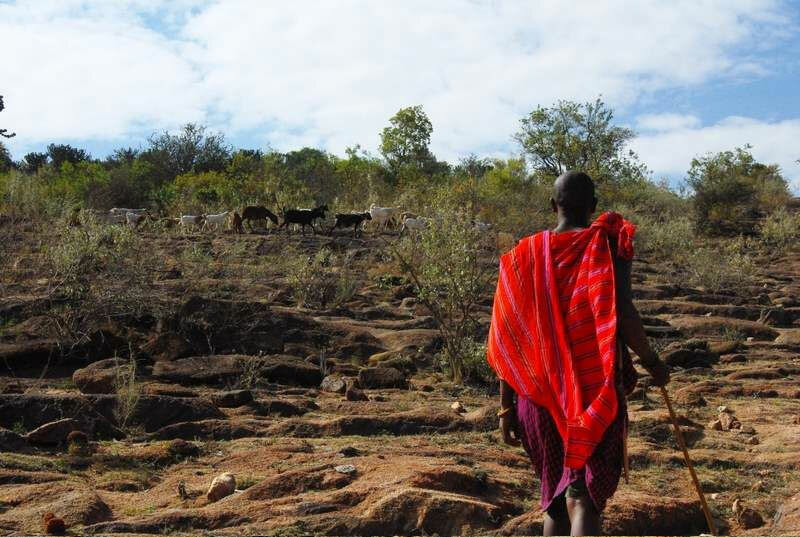 After arrival in the village Maji Moto, a Masai guide will take you on afternoon hike, bird spotting and searching for hyena holes. While enjoying the exercise and the marvellous views on the hills, the guide will tell you all about life in the area. Dinner is served on the campsite next to the school. You will meet the school’s teacher who without a doubt will come by and say hello and will introduce you to the villagers. 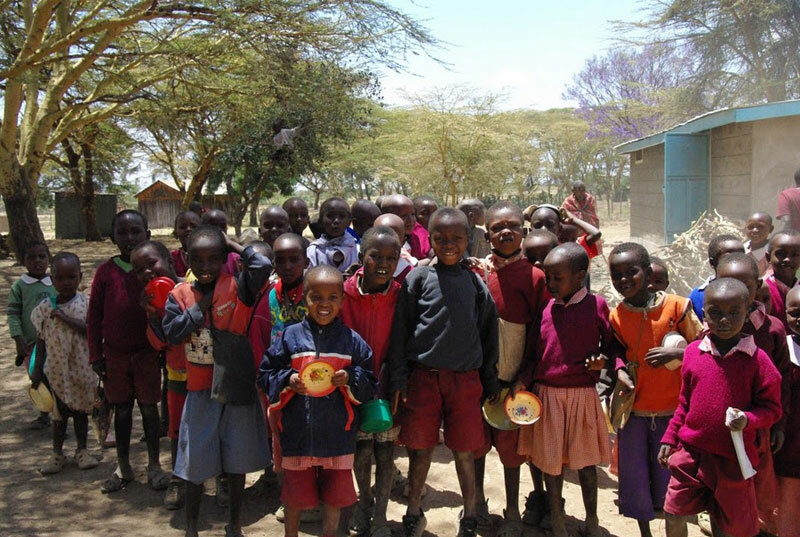 After greeting all the children and if you like, a visit to the school, you will leave early enough for a game drive in Masai Mara National Reserve at the end of the afternoon. You will drive from Loita Hills to a campsite just outside Masai Mara National Reserve. The campsite has hot showers and is managed by Masai. After pitching your tent, you will make a game drive through Masai Mara. In the meanwhile, the cook will prepare dinner. Game drive through Masai Mara. At the end of July, early August, wildebeest from Serengeti will cross the Mara River. During this period the guide will of course take you there. The wildebeest migration is a continuous process. 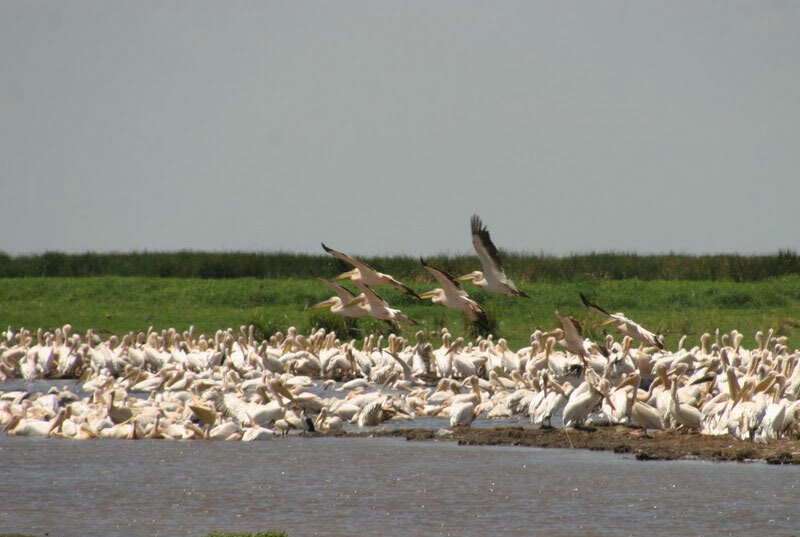 This migration follows the rainfall. The best chance to see the wildebeest migration is in June-July in the northern Serengeti or July-August in Masai Mara, December until March on the Serengeti Plains and in the Ngorongoro Crater. Travelling the whole day through Masai Mara, a game drive enroute to Lake Victoria in Tanzania. Near the border village Isebania, many vendors put steatite statues up for sale. You buy a visa for Tanzania and cross the border. You will drive along Musoma, the closer you get to Lake Victoria, big rocks begin to appear in the landscape. At the end of the day, you will arrive at the Lodge with a view on Lake Victoria. A day off. You can spend your time canoeing with the fishermen of Mwaburugu, a village on the shores of Lake Victoria, bird spotting, lazing away the day, sitting in an outdoor café with a view on Lake Victoria or mountain biking with a guide. Lake Victoria is Africa’s largest lake. Tanzania, Kenya as well as Uganda all share parts of it. There is plenty of fish in the lake. Everyday fishermen sail out to catch Tilapia. Ever since the introduction of the Nile Perch to Lake Victoria commercial fishing companies catch the fish and export it to Europe. Good for the economy but ecologically Lake Victoria is a good example of very poor management. The beautiful water hyacinth, imported once from Rwanda, causes huge trouble. It grows too fast, gets tangled in the motors of boats and suffocates the oxygen in the lake. Nile Perch eat all small fish, aquarium fishes become extinct .The lake reminds one of the ocean and it is still an impressive lake with beautiful sunsets, hippos and many species of birds. Together with your driver/guide and personal cook you will travel further by Landrover to Serengeti National Park. You will enjoy a wonderful trip to northwest Serengeti and the next day to the centre of Serengeti where you will sleep on a campsite on or just outside Serengeti. Even if you stay just outside the park, it is necessary for you to remain in your tents during the night. The campsites are unguarded and have no fences. You will sleep in the middle of the Serengeti. You will hear hyenas crying and sometimes lions roaring. Toilet visits are advised against, your guide will explain the rules and advise you. However, do not forget to look at the beautiful starry night sky and get up early one morning for a beautiful sunrise and an early game drive. 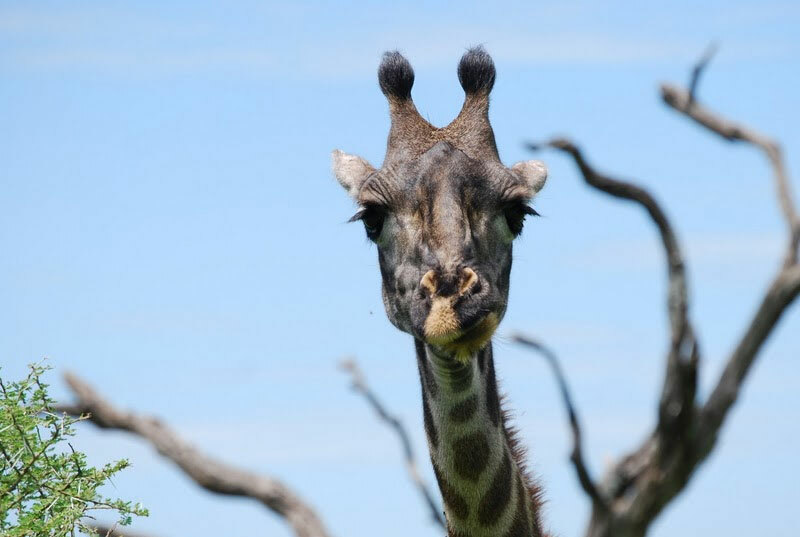 While on the road you will likely see herds of wildebeests and herds of other kinds of antelopes, giraffes, lions, leopards and if you are lucky cheetah, crocodiles and hippos. Serengeti became a national park in 1951. It is half as big as the Netherlands. It is Africa’s most famous park and well known for the yearly migration of wildebeests that cross the Mara River, travelling by ancient routes on their quest for water and fresh grass. The crossing is dangerous because of the many crocodiles in the River Mara. Game drives will take you wherever the guide suspects the animals will be; Masai tops, Seronere River or to the endless Serengeti plains. The Masai used to live in the Serengeti. Serengeti means KiMaa in Masai language: endless plains. Departure from Serengeti. 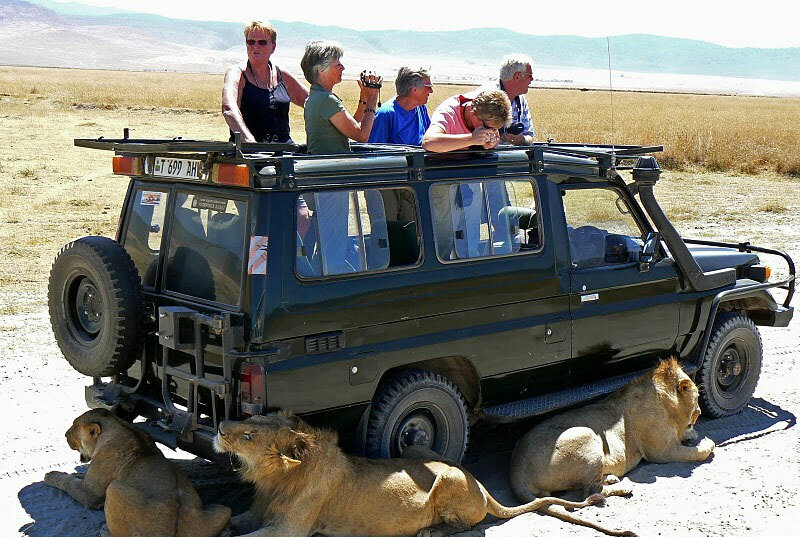 An early rise for a trip to Ngorongoro Reservation Area towards the Ngorongoro Crater, one of the world’s most beautiful nature reserves where lions have become so accustomed to vehicles they try to find the shade of the jeeps to rest. 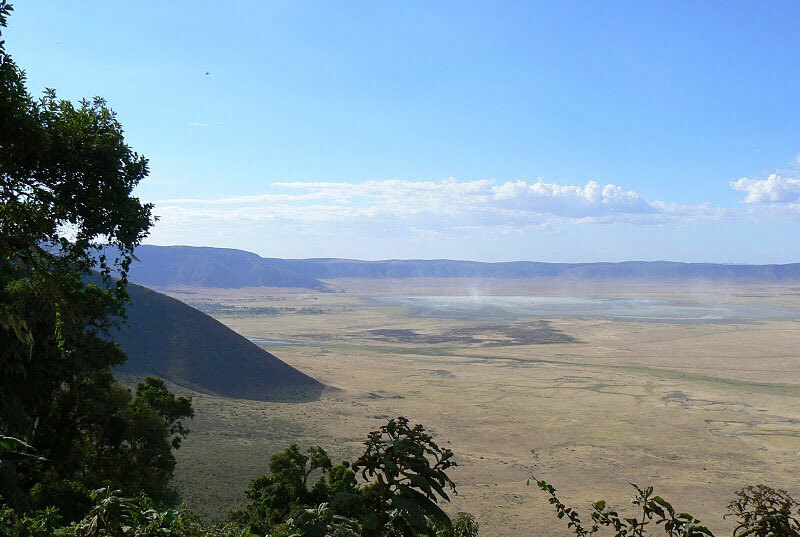 The Ngorongoro Crater came into being, two to three million years ago when the volcano exploded and the bottom sank into the crater. The edge of the crater is at an altitude of 2,300 m, it has a sweet and a soda lake, often filled with flamingos. You will descend into the crater to an area with a diameter of about 20 km. The crater is said to be the world’s densest populated wildlife area. Because there is always water and food, for lions, it is paradise. Herds of wildebeest, zebras, hyenas, jackals, buffaloes, lions, leopards, velvet monkeys, baboons, waterbucks, elephants even 18 rhino’s but no giraffes, no impalas and no female elephant. Whenever you spot a rhino, most of the times you can only get a good look with binoculars, you have caught one of the ‘Big Five’: elephant, buffalo, lion, leopard and rhino. Big five is a hunting expression. Five animals important because of either their ivory or their skin as a trophy for the hunter! At the end of the day you will sleep on a campsite in a little village called Mto Wa Mbu. Another day off. Relax in the morning, do some exercise; enjoy nature, perhaps some exercise on a mountain bike. A guide will join you when you cycle to the border of Lake Manyara NP, on your way, you will spot giraffes, monkeys and many birds. You can also make a cultural hike through the village by visiting the local brewery and woodcutters or enjoy a delicious African lunch at a local women’s group in the village. If you are up to it, try and visit Lake Manyara NP after lunch, this park has a completely different ecosystem. 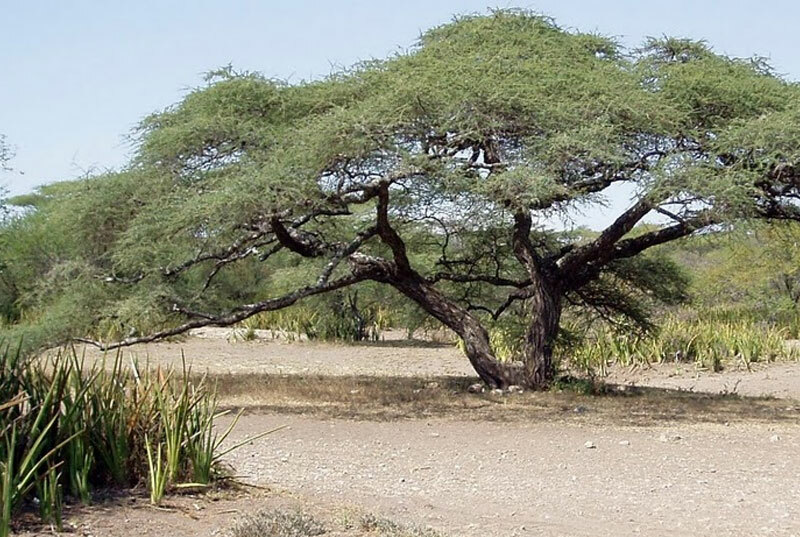 Beautiful trees, lush green, many water birds, hippos and if you are lucky some tree lions. They are often spotted near the warm water wells inside the park. After a late breakfast, you will leave for Tarangire NP, a special park with red soil, many elephants and Baobab trees. You will arrive in Tarangire NP around lunchtime. 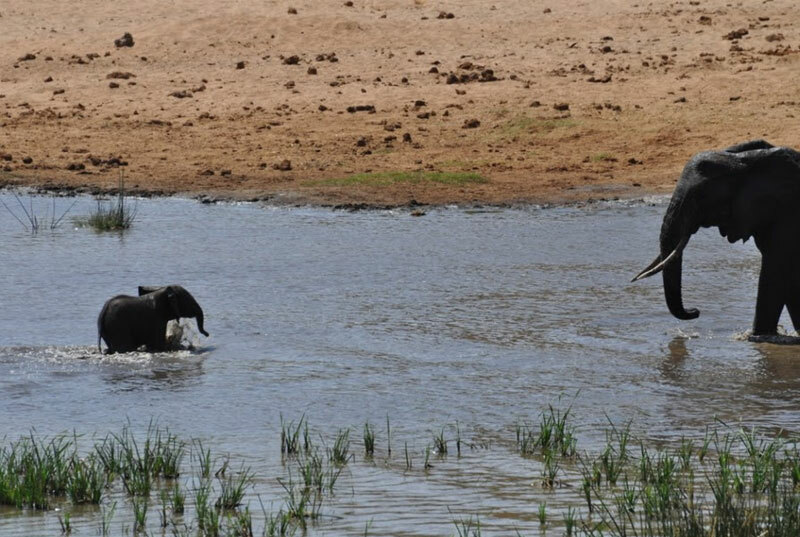 In the afternoon, you will make a game drive along the river in Tarangire NP. You will spend the night at a Lodge with amazing River views. Often elephants are drinking, at night you may hear hyenas, elephants will walk by and when you wake up you may find your tent surrounded by antelopes. It is true fully the most beautiful spot in the park. In Tarangire National Park, you can also do a foot safari with a ranger. The next day, after an early game drive or walking safari and a brunch we will head for Arusha, back to town life spending the night in a local hotel or lodge. Depending on the time of arrival, you may want to spend an hour or so exploring Arusha, have a city tour with a guide or visit the local Masai market. Domestic flight from Kilimanjaro Airport to Dar es Salaam or Zanzibar, arrival around lunchtime. You will spend two days in Stone Town just to get a feel of the city with its unique culture, history and architecture. You can take a spice tour, enjoy Zanzibari food or snorkel around two little islands up the coast of Stone Town. Or perhaps a sail trip on the Marlie in Paradise (www.mip-zanzibar.nl) and visit Mwangapwani, famous for its slave caves, and enjoy lunch on the beach. 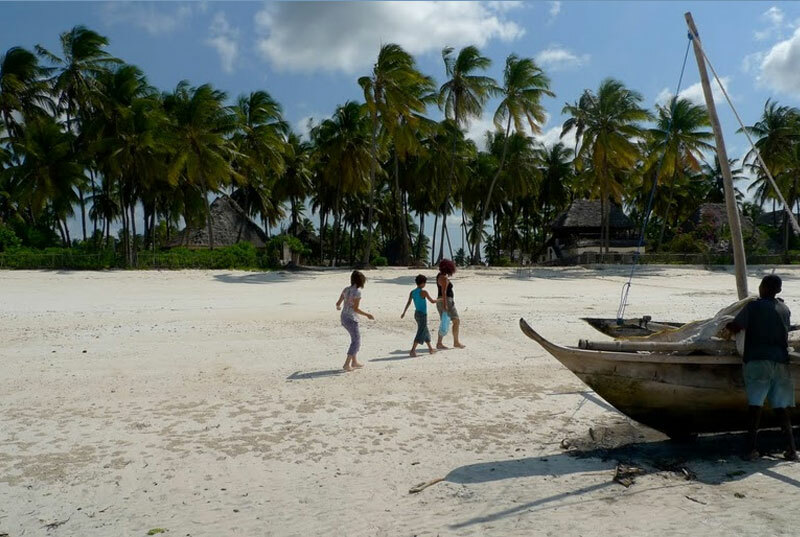 Relax and enjoy Zanzibar’s beautiful white beaches while you stay in a nice and simple accommodation in Jambiani at the east coast, or elsewhere if you choose to. You travel home with a domestic flight from Zanzibar to Dar es Salaam from there to your home destination.